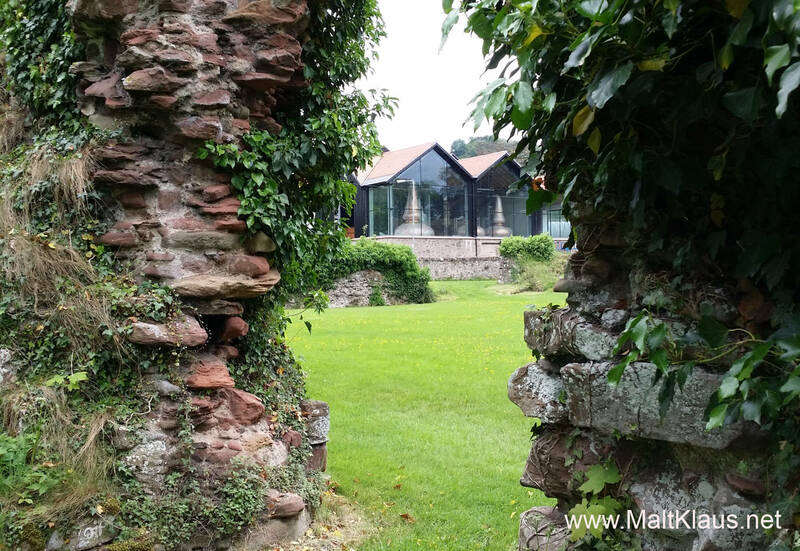 2017 Whisky adventures part 6: Fife – Lindores Abbey, Eden Mill, Artisan and more! Just a few years ago, when I first travelled to Scotland, Fife was pretty much non-existent on modern whisky maps, even the rogue farm distillery at Daftmill was only known to a handful of geeks. These days it could count as a whisky region of its own, with quite a few new distilleries starting up. Amongst them is the first stop of the day for Jo and myself – Lindores Abbey. Sit back, pour yourself a dram and join us on the journey! Et per liberacionem factam fratri Johanni Cor per preceptum compotorum rotulatoris, ut asserit, de mandato domini regis ad faciendum aquavite infra hoc compotum, viii bolle brasii. The date was 1st of June, 1494, and this phrase is to be found on a piece of parchment, an Exchequer Roll. It marks the first recorded history of distillation of “aqua vitae” in Scotland, the “water of life”, the unaged equivalent of what we call “new make” today before it goes into casks. 523 years later, to the day, Jo and I are given a very warm welcome by Drew McKenzie Smith, Managing Director and Gary, distillery manager, at the gates of the former Lindores Abbey on Lindores Farm, in the possession of Drew’s family for over 100 years. Distillation is about to be resumed at the time of writing (August 2017), at what they call the “spiritual home of Scotch Whisky”. Now, we’ve seen a lot of new distillery projects these past few years and everybody tries to find a unique story, a unique selling point, some so far-fetched it’s borderline comical, but the same can not be said about this place. Actually, the project has been (on and off) in the making for many years, way before the current distillery boom had started.